Are you in need of quick 24 hour lockout services in Coquitlam, British Columbia? Call us. We don’t only come to your rescue in a timely manner, but also handle any problem in the most professional way. Is your home key broken? Do you press the car fob but the door won’t open? Contact us. As residential, auto, and commercial lock and key experts, we at our Locksmith in Coquitlam BC do what we must in order to restore damage. Lockouts happen at the most inappropriate times. That’s why our company is prepared to offer assistance 24/7. 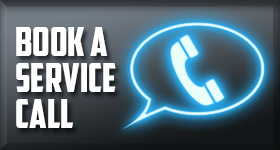 Whenever you need Coquitlam lockout service, dial our number. We have a mobile team, which can help anyone in no time. Problems with keys and locks happen all the time and often lead to lockouts. All it takes is a broken key or damaged lock to lock you out of your house, car, or office. Since there are variations among locks and their services, our technicians are trained to pick, change, repair and rekey every single one of them. We deal with your car lockout as soon as possible. Aware of the special requirements of modern car lock systems, each mobile unit of our company in Coquitlam is equipped with state of the art systems. We have special computers to program transponder keys and the best cutting machines to make new car keys. Of course, we can cut any other key too. Is yours broken? We first extract it from the lock and then replace it. Is your house key stolen? We can cut a new key and rekey your lock to only work with the freshly cut key. Whether we offer car, office or house lockout service, we focus on the client’s security. Our goal is not just fast door opening but also restoration of any problem which might lead to new security problems. You can call our company for your lockout needs and any emergency locksmith service 24/7. Count on our quick arrival and ability to rescue a loved one locked in a vehicle or house fast. We care and show it by offering quick and quality lockout service in Coquitlam, BC. Call us 24/7.